The average grocery shopper doesn’t want to spend a lot of time in the kitchen. Conveniently packaged meals that only require reheating are in high demand. 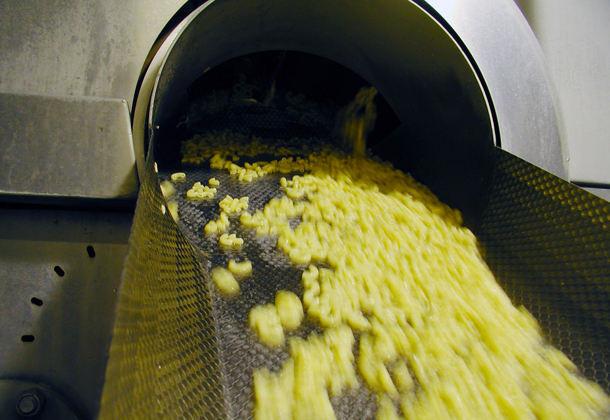 As a result, food producers need fast, economic ways to pre-cook their products. 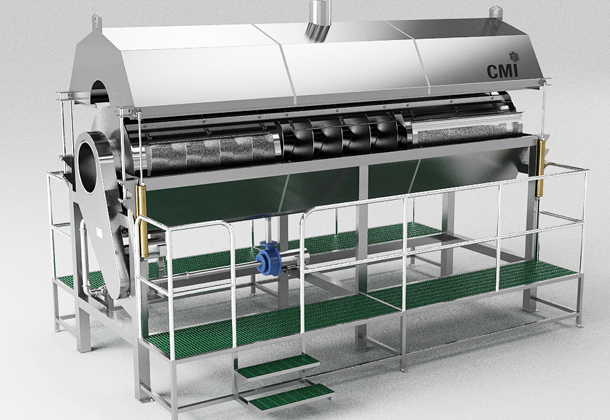 CMI’s stainless steel blancher-cooker uses steam injected water for quick cooking. It’s perfect for your volume cooking needs! A flighted reel ensures correct cooking times and full submersion, while recirculating water maintains even heat. The hood holds the steam from cooking. 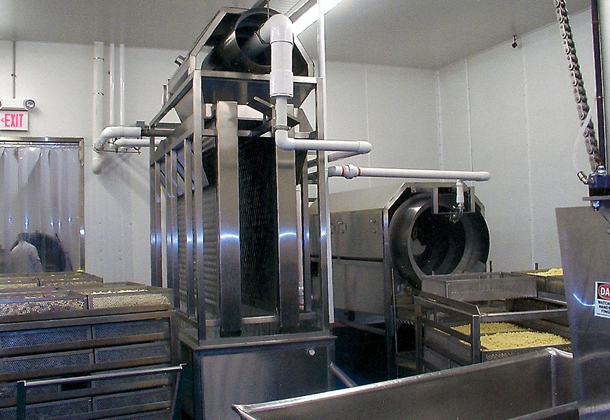 A VFD allows variable settings for load cook times, and adjusting time rather than temperature. 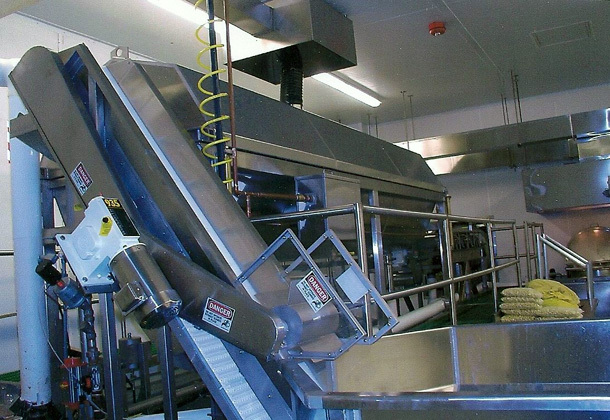 And best of all, a hydraulically raised hood, removable perforated panels and quick-clamps mean easy cleaning. 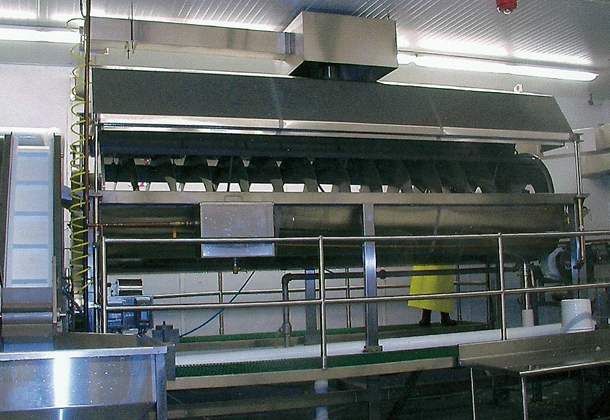 Call us to discuss your requirements for length, infeed and discharge heights, reel size and flight specifications.